She is our first graduate this year. She has been with us for both years of our existence. She’s been working hard to discover her passion. She found it. Beauty and fashion. She tried community college thru the dual enrollment program but fashion and beauty calls for her. 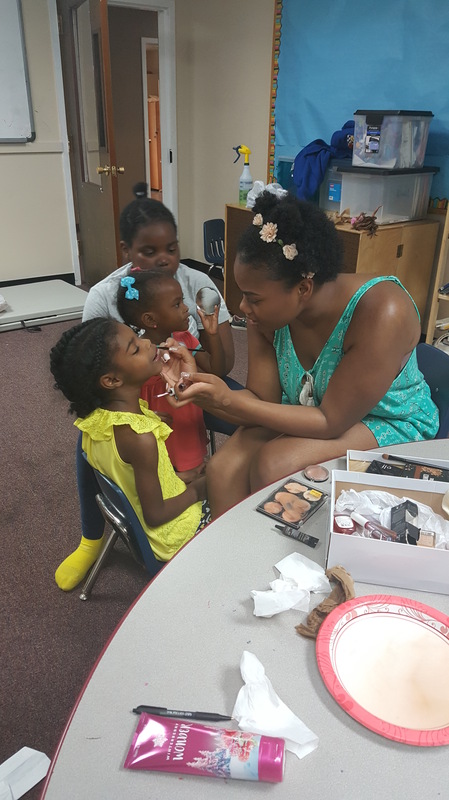 She spends her day doing students’ hair, makeup and sewing. She made her prom dress. I (the founder) wrote a letter to the Dudley hair school to let her take some classes last year. They let her and she aced them. She decided that she was ready to leave our little nest and has set her graduation date. Next year she will finish cosmetology school and then she says she will go to college for business so she can open her own studio. I look forward to watching her journey.